Awarded Best of Houzz in both Service and Design for 4 consecutive years 2016 - 2019. I am an Interior Decorator and Stylist based on Sydney's North Shore. I work all over the region, helping people to achieve a stylish home that they love, and can feel proud of. Working with my team of skilled and trusted artisans and trades, we create bespoke residential interiors with beautiful finishes. 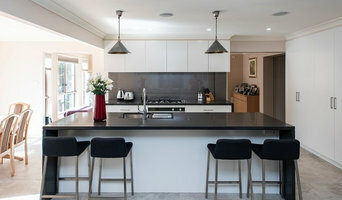 Lifestyle Home Designs is a dynamic Architectural Design & Project Management company based in Sydney. We provide a complete “one stop shop” solution for those discerning individuals who refuse to accept compromise! We provide something much more than just a standard renovation, extension or new home. We specialise in the design and development of plans for New homes, Luxury homes, Alterations and additions, Home extensions & Pool houses & Cabana's. Lifestyle Home Designs can also help you with Dual occupancy developments, Seniors living developments or Townhouse developments. More than just Home designers or architects, we can help and guide you through all the stages in building your dream home or development. This includes Concept designs, DA plans for council application, Construction certificate plans and detailed specifications, Project management, Consultant management, and we even have a range of Builders to complete your New home, Alterations, and additions or Extensions and Renovations. 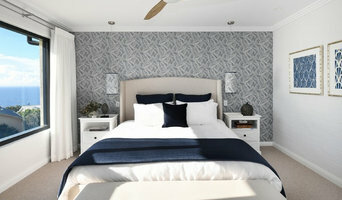 New homes can be single storey or 2 storeys and designed in any style you choose from Contemporary homes to Federation style homes, Energy efficient and “eco-friendly” homes, Split level homes, Ultra modern homes to Seaside beach house’s and Country retreats on flat blocks or sloping blocks. Lifestyle will custom design a home to suite your Lifestyle and your budget. Our home extensions, additions, and renovations will either compliment the style of your existing home or create a brand new look. Home extensions can range from Ground floor extensions to First floor additions and Second story extensions.Lifestyle can help you with your project from Concept to completion providing a range of services which we will customize to suit your individual needs. 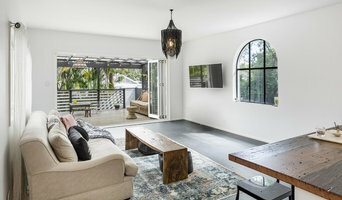 Tracey Huntley is an Australian Designer who showcases an impressive portfolio of interior and exterior projects for homes and businesses throughout New South Wales as exemplified in her design studio. With over 10 years of experience, she creates a sense of trust and credibility in her clients and has a high word-of-mouth referral rate that brings her many new clients throughout Sydney. Bumph and Scumble’s attention to detail and passion for interior decorating and design is clearly evident in every aspect of the business. With a ‘can do’ attitude and meticulous attention to detail. The design team pride themselves on providing a highly personalised service, specifically tailored to the needs of each client. Services range from colour consulting interior and exterior, single room design, whole home renovations, new builds and commercial fit-outs. We work with a team of personally selected tradespeople including cabinet makers, plumbers, electricians, painters and builders. 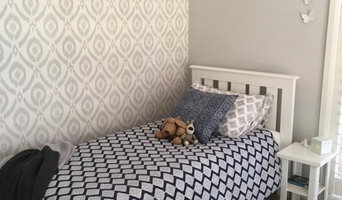 We also have a bespoke team in the workroom for interior blinds, curtains, shutters and exterior awnings, with motorisation available for all products.